OLD SAYBROOK – To celebrate the fifth annual Take Your Child to the Library Day on Saturday, Feb. 6, Karen Giugno, Children’s Librarian and Assistant Director at the Acton Public Library, has planned several special programs. Children in kindergarten through fourth grade can participate in the “Great Masters Art Program” with Kim Larkin from 10:30 a.m. to noon. Children will create their own masterpiece based on the style of Matisse using painting, drawing and collaging techniques. No experience necessary. Registration is required. This program is sponsored by the Friends of Acton Library. Also from 10:30 a.m. to noon, the Treehouse Players will be celebrating libraries with a “Fractured Fairy Tales” drama workshop for children ages 5 to 12. With Treehouse Players, your child can use his or her imagination through song, speech, creative movement, theater games and acting out stories. Please register if interested. Visit the Children’s Department at any time on Feb. 6 to make a fun craft to bring home. Crafts for preschool through preteen will be available. Please be sure to reserve your seat by calling 860-395-3184. All children under 8 must be accompanied by an adult. Acton Library is at 60 Old Boston Post Road in Old Saybrook. For more information, go to actonlibrary.org. Editor’s Note: Take Your Child to the Library Day is an international initiative that encourages families everywhere to take their children to their local library. 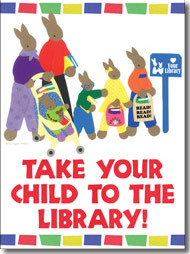 Launched in 2011 in Connecticut, the initiative raises community awareness about the importance of the library in the life of a child, and promotes library services and programs for children and families.